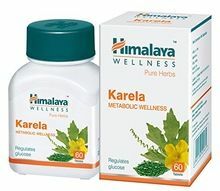 Karela tablets It contains ingredients that act like insulin to help reduce blood sugar levels.It supports restoration of functional pancreatic beta cells that secrete insulin in the body, and helps maintain healthy glucose levels. 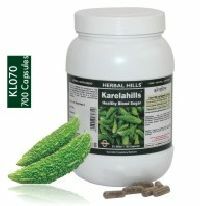 Each capsule contains Freeze Dried Powder of Karela (Momordica charantia) 200 mg. In Diabetes-Mellitus as an adjunct treatment. Promotes endogenous insulin production and augments alternative modes of glucose handling. Glucose sparing at the level of gut. Restores pancreatic functions. Useful in skin infections and non-healing wounds. Cardio-tonic, carminative, diuretic. 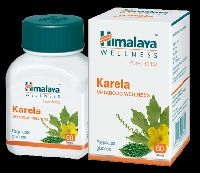 Anjali Acupressure Treatment & Yoga..
Karela (Bitter melon) is known to have blood sugar lowering properties. 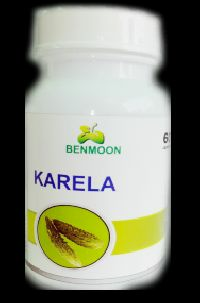 It is also beneficial in skin disorder & diabetes. 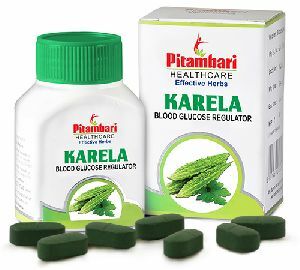 It exhibits antidiabetic, antibacterial and hypocholesterolaemic properties. An ayurvedic treatmentayurvedic remedies for cholesterol, hyper cholesterol. 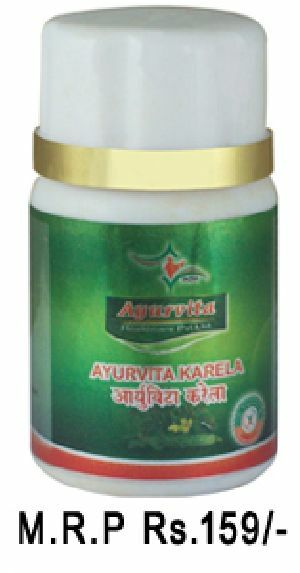 An ayurvedic medicine for diabetes. An ayurvedic treatment for skin disorder.